Launched in 1950, Duffy was built by the Adams Boat Company, underneath Seattle’s University Bridge, according to a design by Edwin Monk Sr. penned in 1947. She was originally commissioned by a Seattle Doctor for the use of his family who cruised Duffy the length of the Salish Sea and Inside Passage for 42 years. 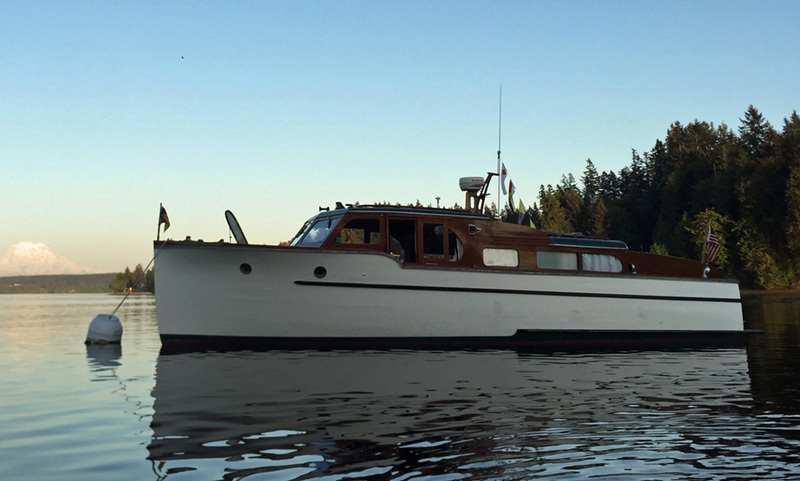 She was purchased from the estate of the original owner in 1992 by another family who preformed a minor restoration and enjoyed another 25 years and a family generation’s cruising the Puget Sound. We purchased her last year and have started another round of restoration work above and below the waterline and are looking forward to raising yet another family on this classic Monk Cruiser that has remained remarkably original over all these years.